How to test the blood pressure? Your blood pressure indicates that with what pressure your blood is pumping in different parts of your body and at what rate your heart is pumping it. Having high blood pressure means that extra pressure is being applied to your arteries which puts extra effort on your heart. This extra strain increases the risk of heart attack and stroke. If you want to keep a check on the significant rise or drop in your blood pressure, you can test it in your home. It is a simple way and can be done anywhere. How to know that now is the time for the test? Since adults over 40 years mostly experience the blood pressure changes, they should always keep testing the level every 4-5 hours, so that any complication can be detected. If you have already been diagnosed with the problems, it is mandatory to check the level every 3-4 hours. Also Read: Why do you get obese? It is advisable to keep these elements under consideration while going for a test as the readings of your blood pressure may vary. 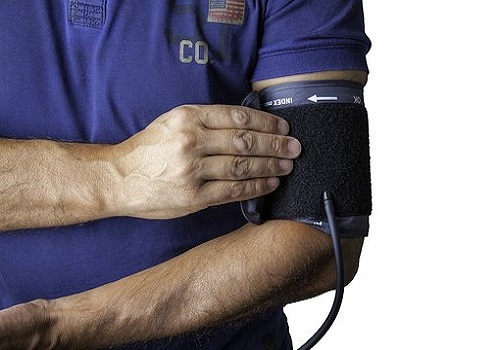 At least every year: If you do not make a complaint about high or low blood pressure, and it normally remains at 120/80 (which is a normal measurement), then you are needed to check it every year or two. If you have prehypertension, you should keep a check on it every year. If you have other risk factors like the heart problem or you had a stroke, if you are obese then it is strictly recommended by doctors to check your cholesterol every month to notice any harmful activities. Other than blood pressure test, there are other tests also that are conducted by the doctor to know all your medical condition. It can also be found whether other organs have been affected by the sudden rise or drop in your blood pressure. Urine Test: These are done to find out any kidney or liver disease. It also monitors the activities going on within the circulatory system. To check the level of potassium, sodium in the body blood tests are done by the doctors. Glucose test is done by Glucometers which are helpful in checking whether a person is diabetic or not. A very common device called sphygmomanometer is used to check the blood pressure in a person’s body. It measures your systolic and diastolic pressure in the body. This is done by pressing your index finger and thumb on the wrist and locating the pulse carefully. If you fail to do so, you can also spot it with the help of stethoscope that you can place on the wrist and can find out. Wrap the cuff of the sphygmomanometer around the arm properly so as the head of the stethoscope is over the artery. Keep one thing in mind that the stethoscope is used in case of a manual monitor. It is a very important step for measuring the B.P. If you are using the manual device, make sure that you are holding the gauge in your left hand and the bulb in another hand. Keep inflating the cuff with your right hand and hear the pulse in your stethoscope.Listen to the beats of the pulse on your wrist and then slowly deflate the puff. Keep listening the beats until the sound stops. Also Read: How are High Blood Pressure and Eye Disease interrelated? For better results, keep your arm straight. 3. Adopting a healthy and balanced diet. If you have hypertension, make sure to consult the doctor and get a proper medication so as not to face any fatalities.